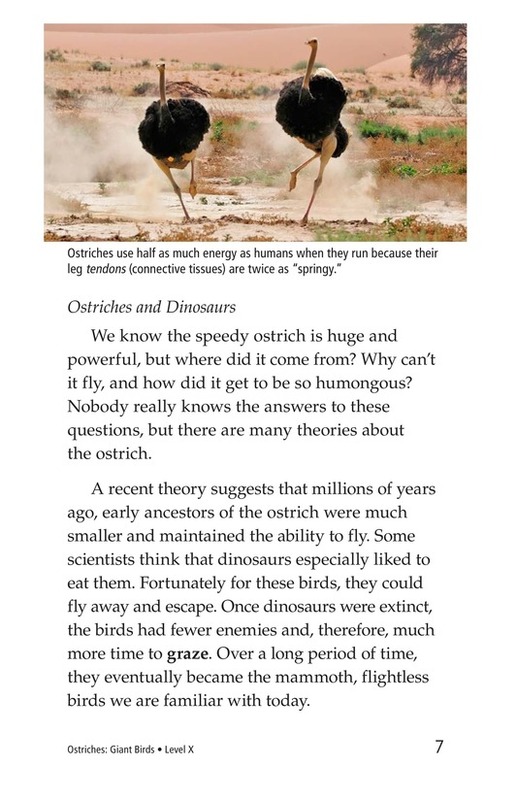 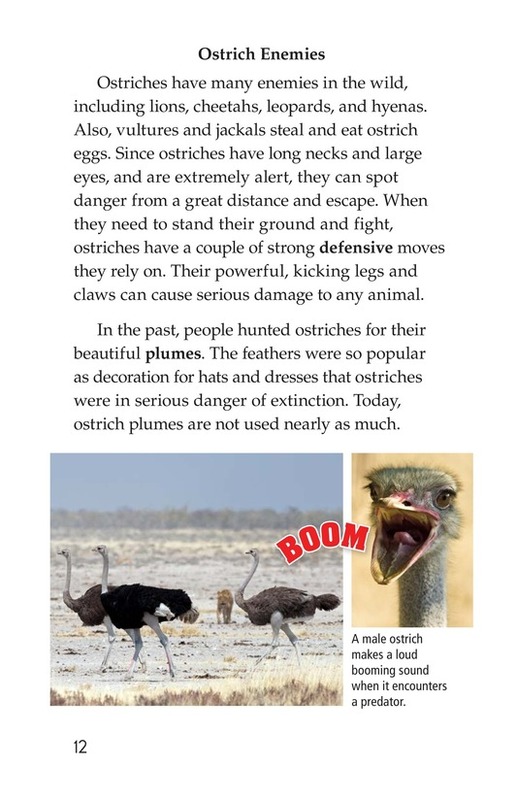 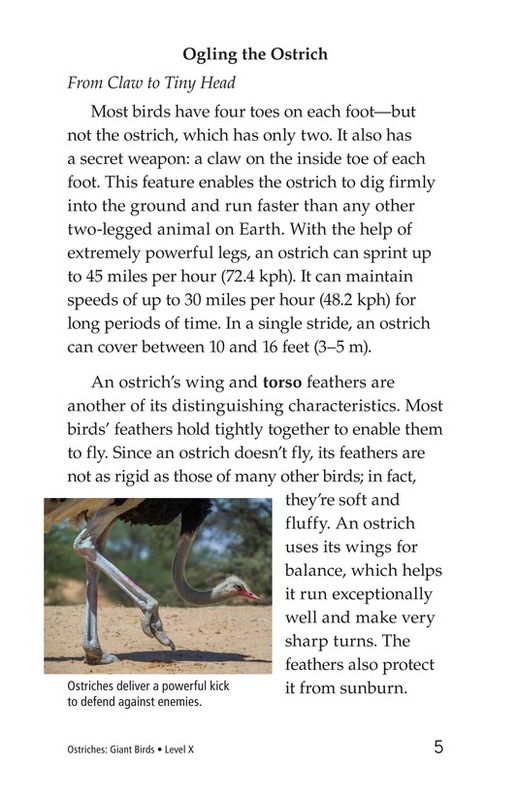 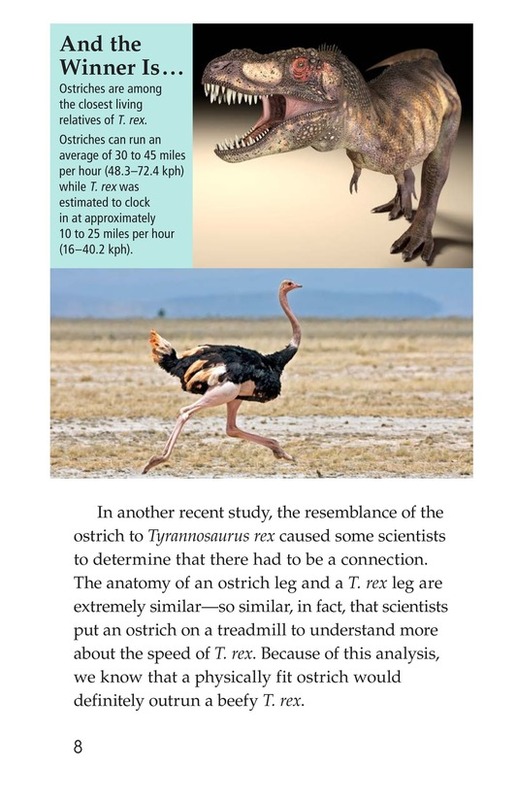 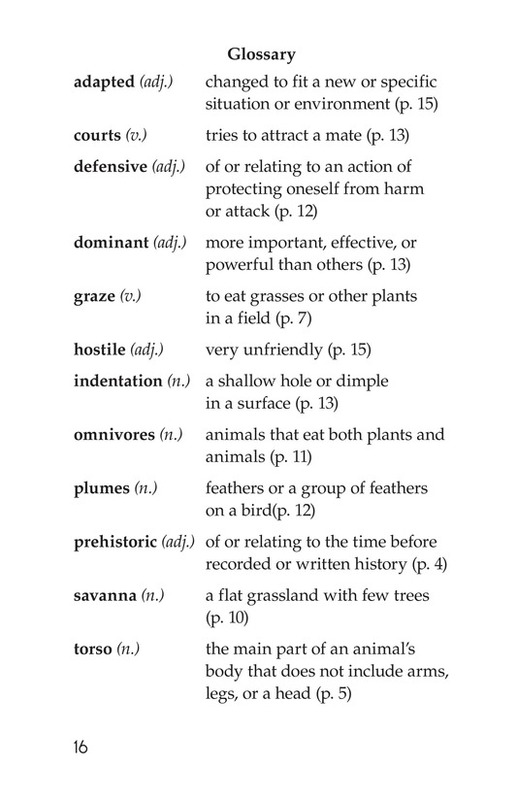 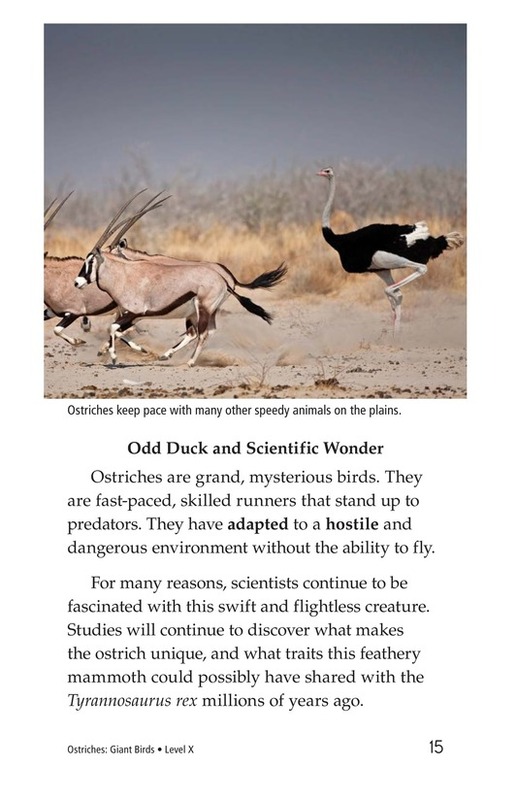 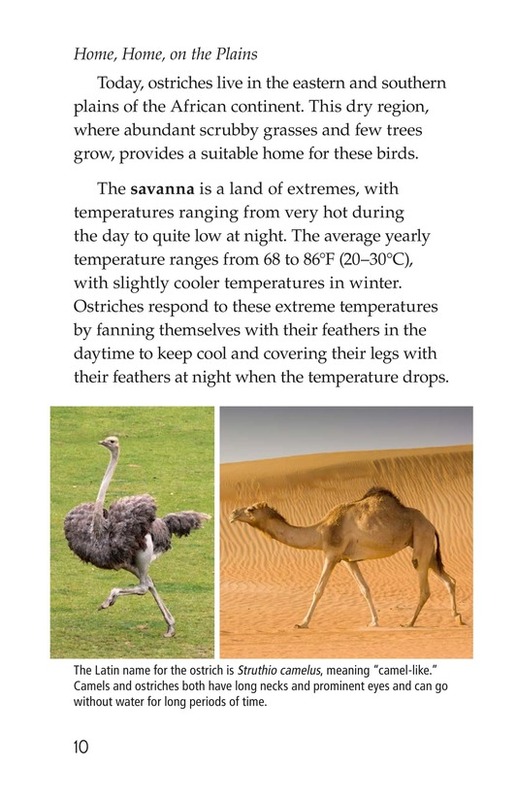 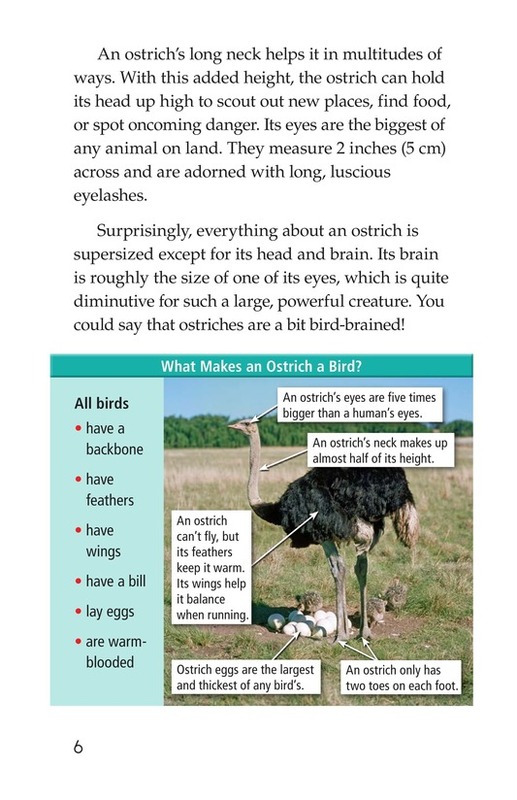 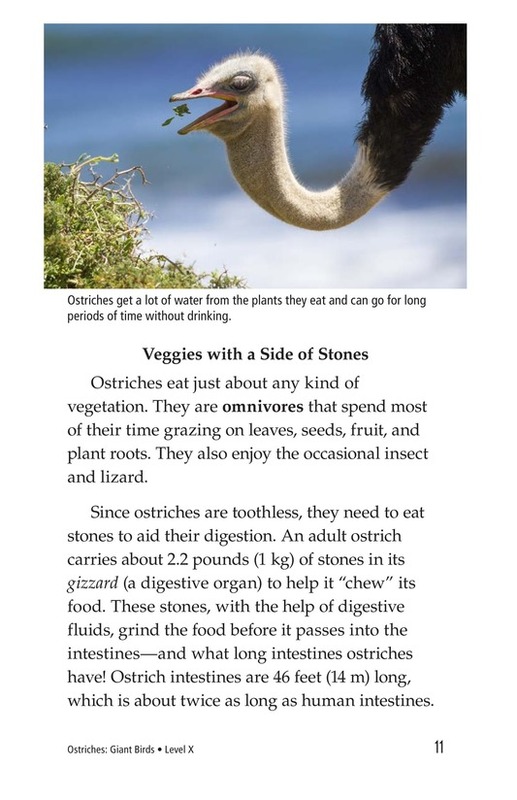 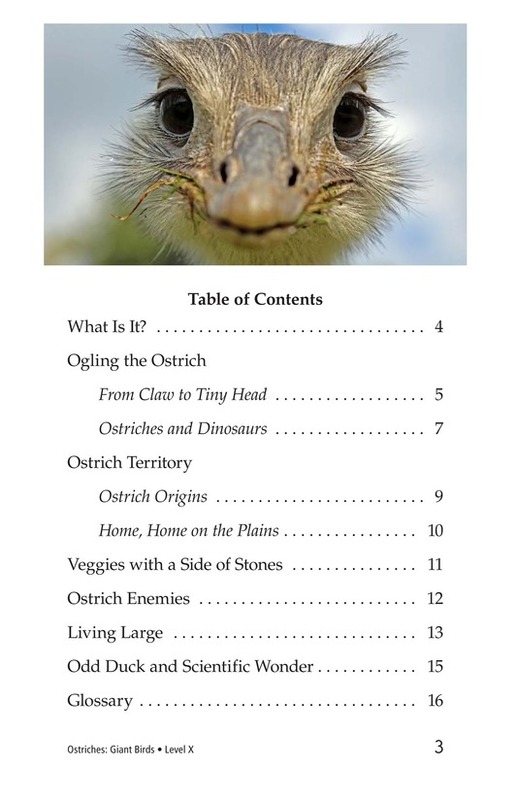 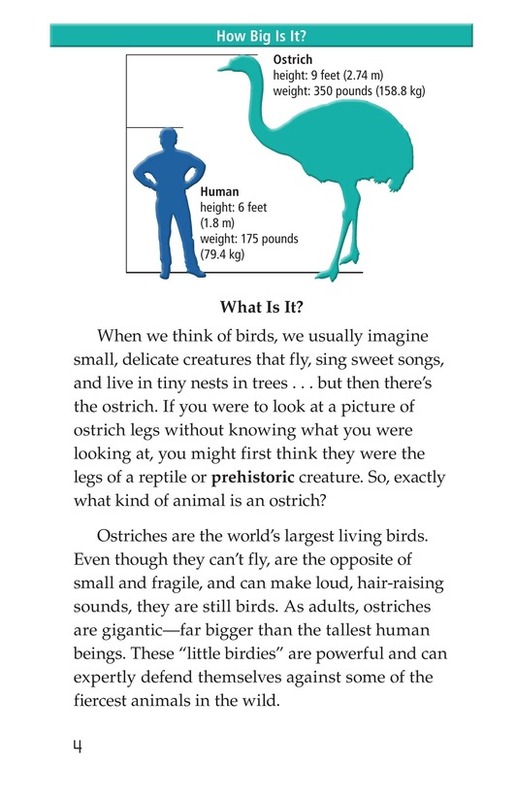 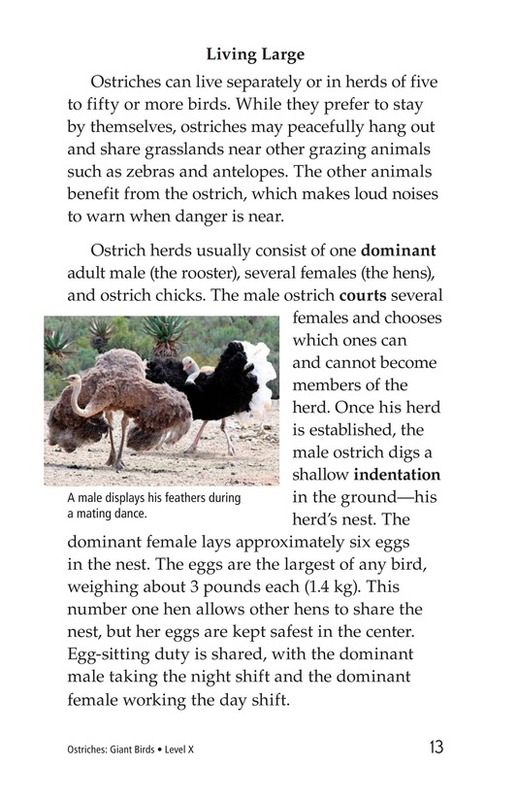 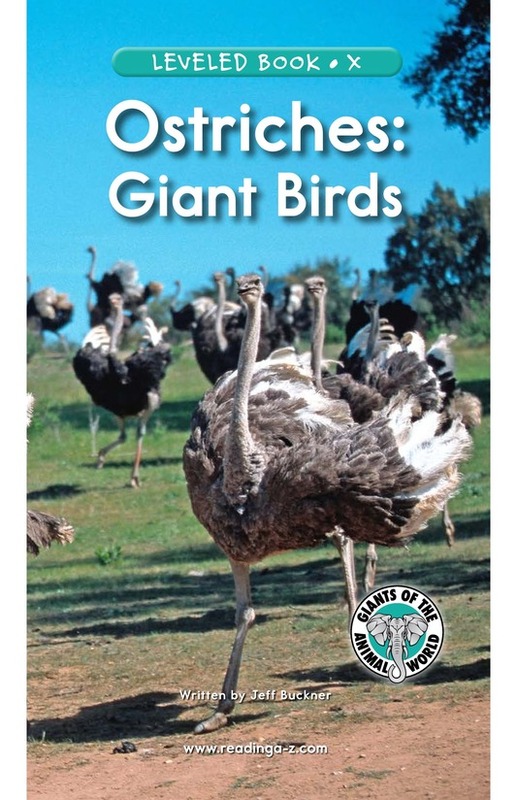 Ostriches: Giant Birds explores many of the things that make these birds so fascinating. 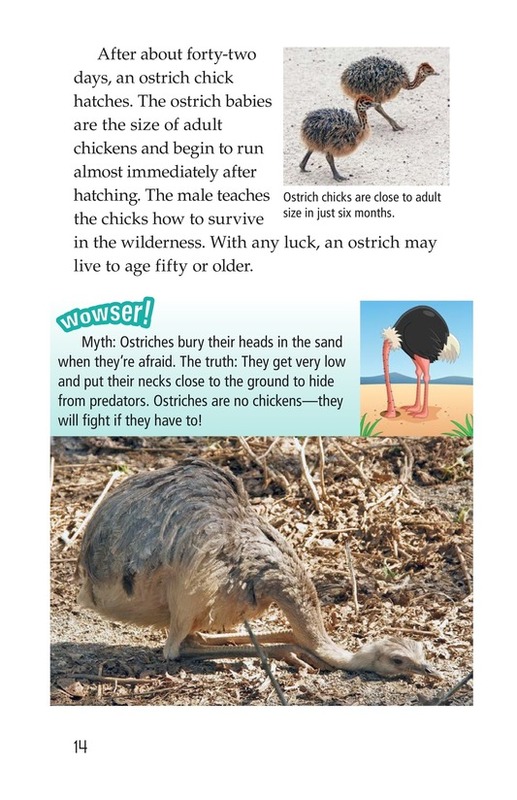 Students will learn about their appearance, enemies, offspring, and more. 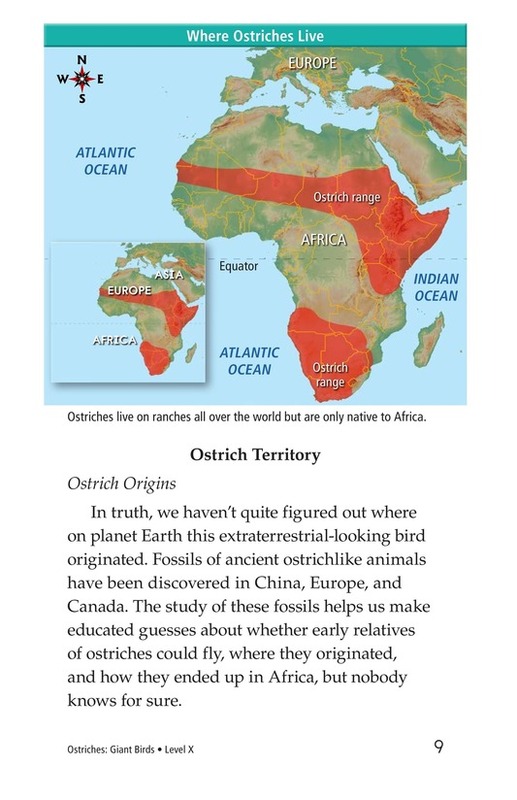 Maps and exciting pictures support the text. 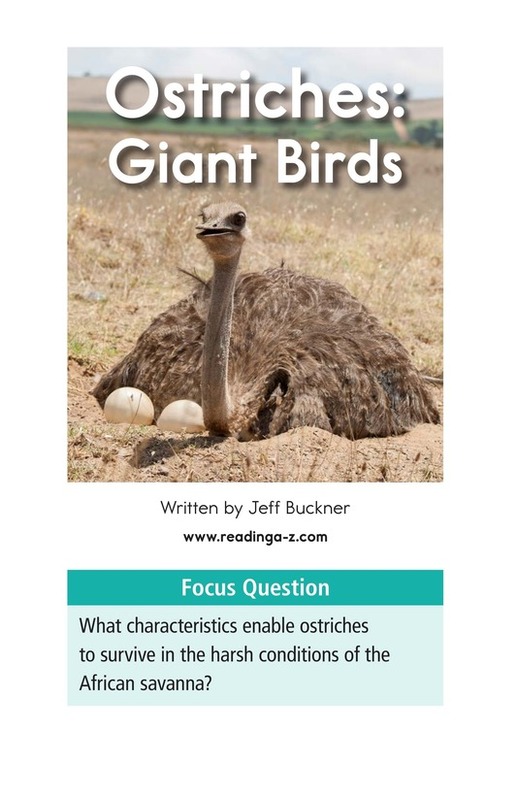 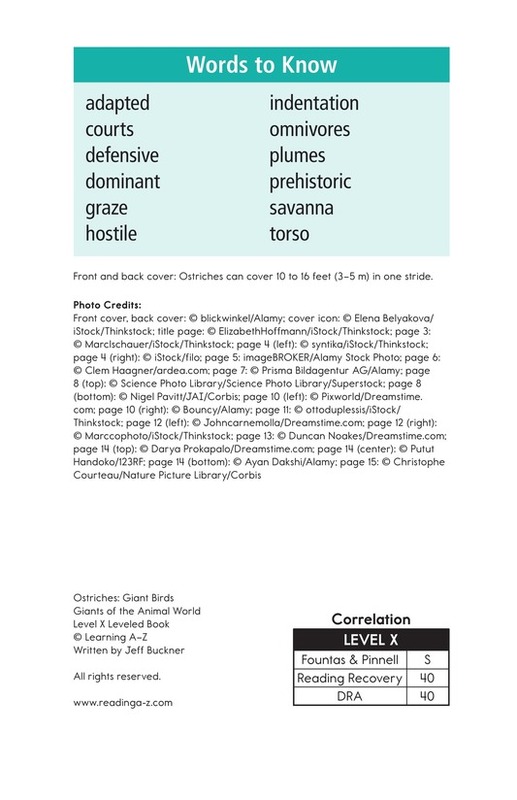 See the Giants of the Animal World grade-appropriate, series lesson plan and activity cards for additional instructional resources.